St. Martin's Paperbacks, 9781250071958, 352pp. in mortal danger. . .and Darius, who has vowed to protect her, is her only hope. But can she trust the notorious dragon shapeshifter? 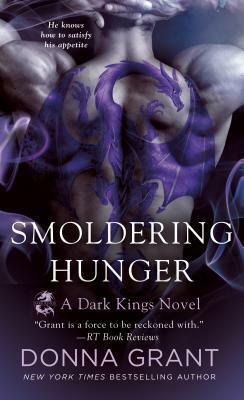 The only thing she knows for sure is that she cannot resist him, in Smoldering Hunger, the next novel in the Dark Kings series by New York Times bestselling author Donna Grant!